The 25m Seadoors Dive Liveaboard was custom built for divers to explore the beauty of the Philippines underwater world in comfort. 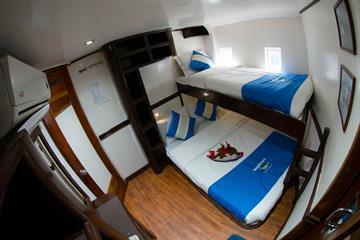 The Seadoors Liveaboard has 8 cabins and caters to a maximum of 16 guests. 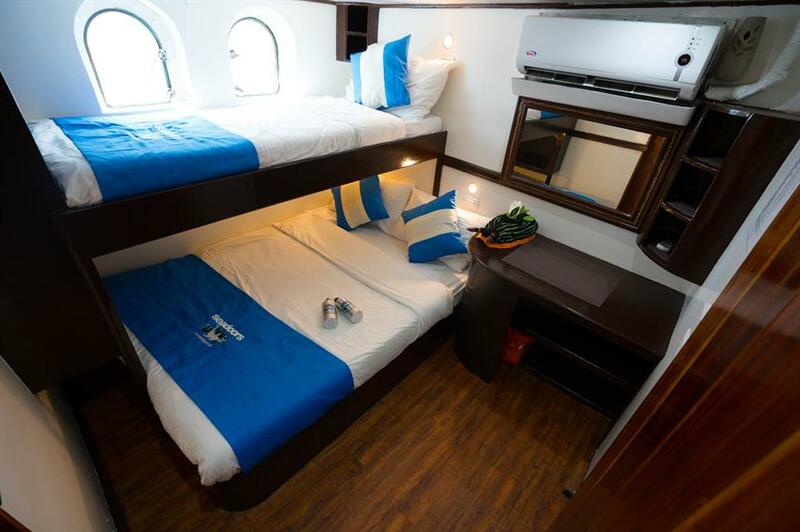 Each cabin is air-conditioned and has a queen size bed plus a single bed, en-suite bathroom with hot water and towels are provided. 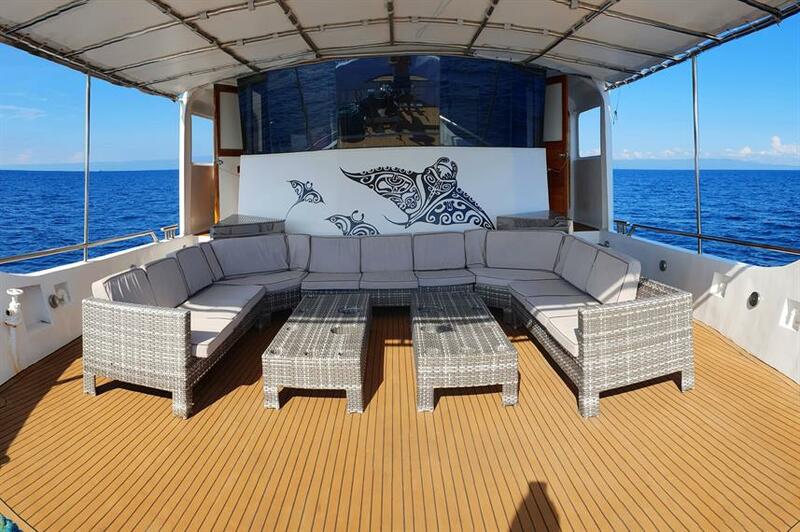 There is also the option of upgrading to a more spacious luxury cabin once on board. 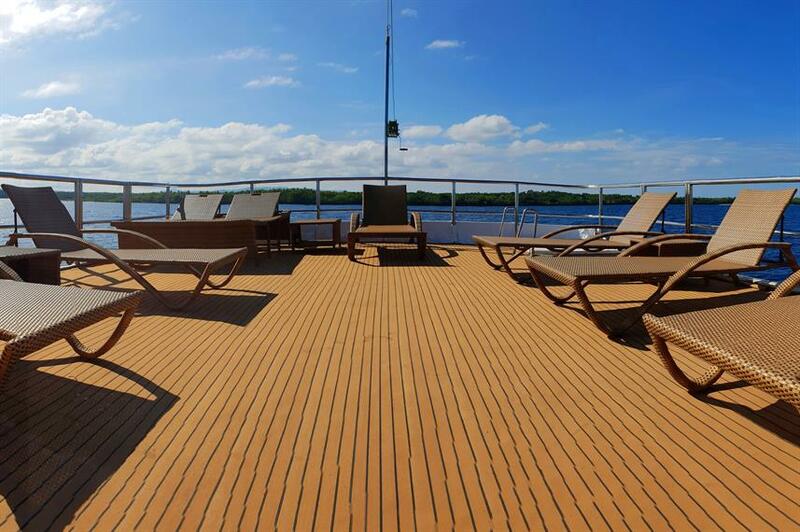 In the centre of the first deck is the air-conditioned spacious lounge perfect for relaxation, briefings and debriefings. A marine library is available to search for the latest critter, and a flat-screen TV to watch movies or check out your latest photographs. There is also a workstation for charging electronic equipment. 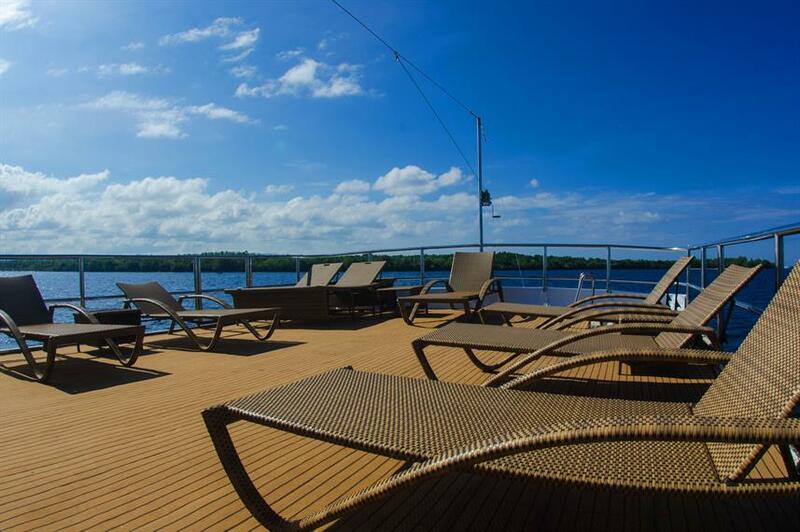 Aboard the Seadoors Liveaboard there is even more space for relaxation on the sundeck, which offers comfortable sunbeds to enjoy the beautiful surroundings, or an outdoor shaded lounge to watch the spectacular sunset views. 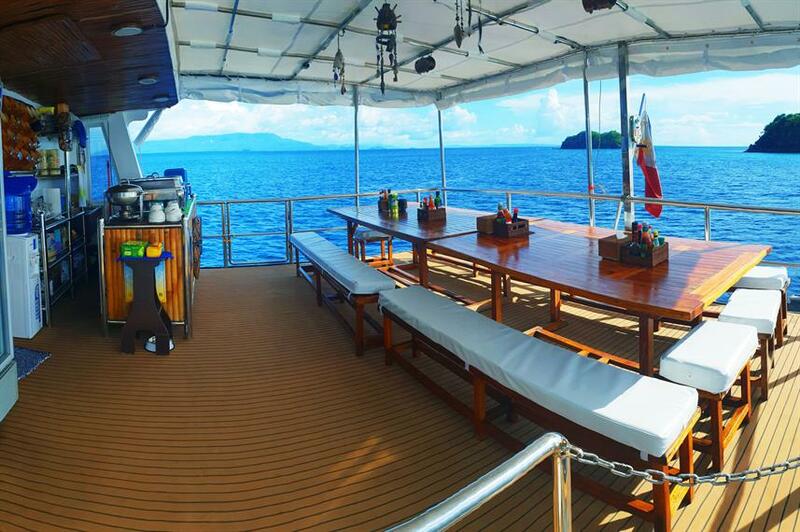 Enjoy panoramic views from the Seadoors Liveaboard outdoor dining room, where local and French cuisine is served throughout the day with afternoon snacks. 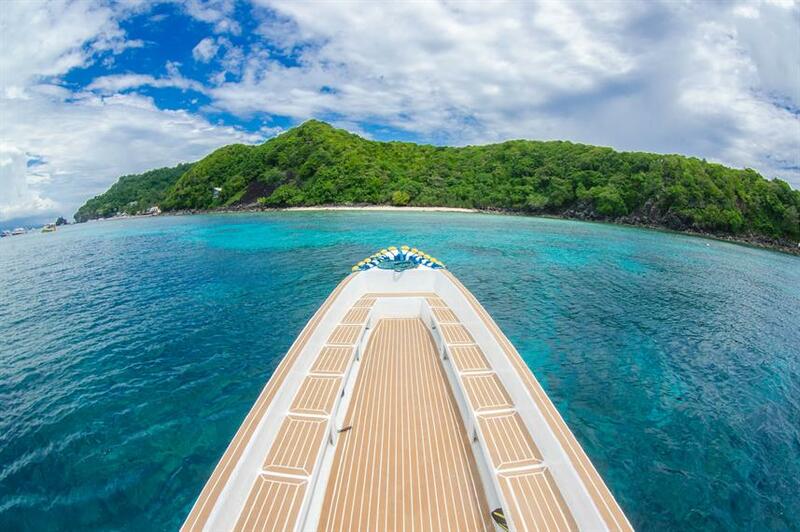 Visit the beautiful sites of Tubbataha, dive with Thresher Sharks in Malapascua or the Whale Sharks of Leyte. 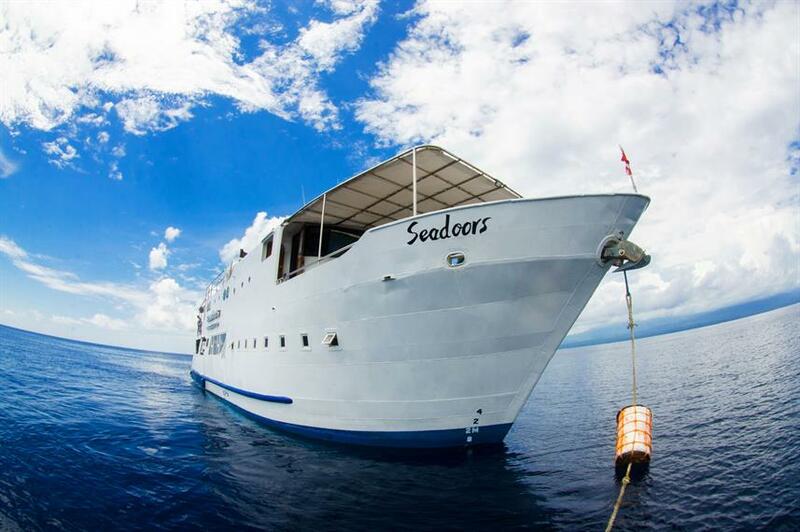 The experienced dive staff and crew of the Seadoors Liveaboard will be on hand to make your dive trip to the Philippines a memorable as possible. 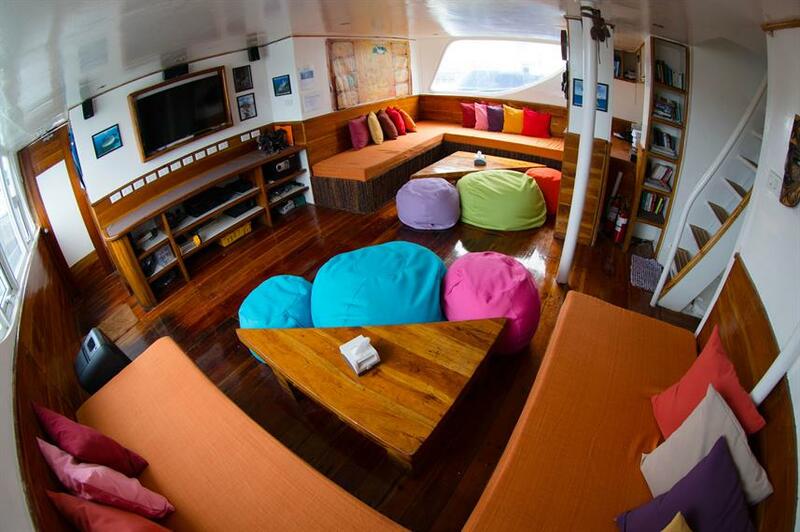 Book your Philippines Liveaboard Diving adventure today! 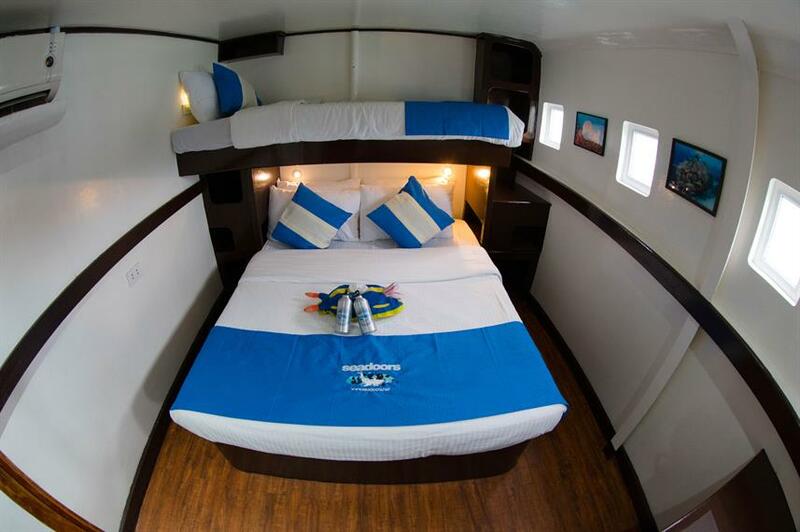 Included: VAT, Airport Transfer, Hotel Transfer, Drinking Water, Soft drinks, Tea & Coffee, Welcome Cocktails, Beach BBQ, Full-Board Meal Plan (All meals), Snacks, Diving Package, Fishing, Land Excursions, Naturalist Guide, Snorkeling Guide, Stand Up Paddleboard, Beach Towels, Cabin Towels, Deck Towels. Required Extras: National Park Fees (85-162 EUR), Visas and Fees. 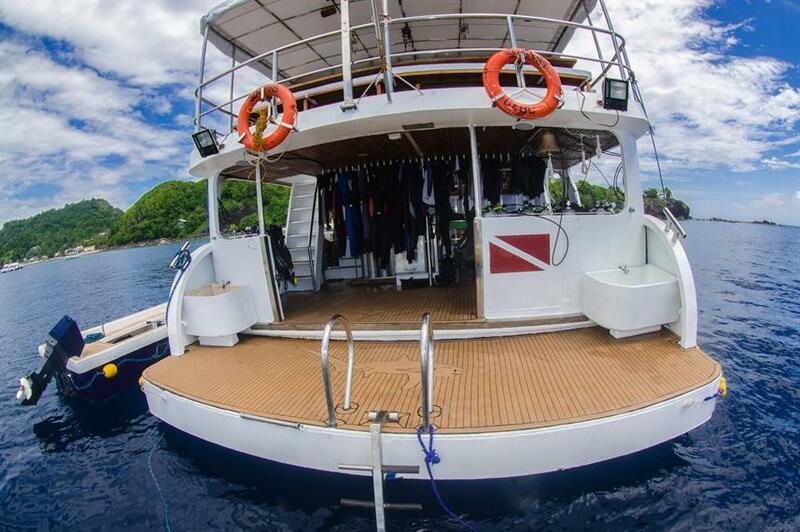 Optional Extras: Gratuities, Alcoholic Beverages, Wine with Dinner, Extra Dives, Nitrox, Nitrox Course, Private Dive Guide, Rental Gear, Scuba Diving Courses, Snorkel Gear, Laundry / Pressing Services. Really fun week with some amazing diving! Such a great trip! Even with a slight hiccup of a typhoon that we had to deal with. We were well taken care of, and they put everyone's safety first. They also did the best they could to let us make up any missed dives by adding in some extra night diving. 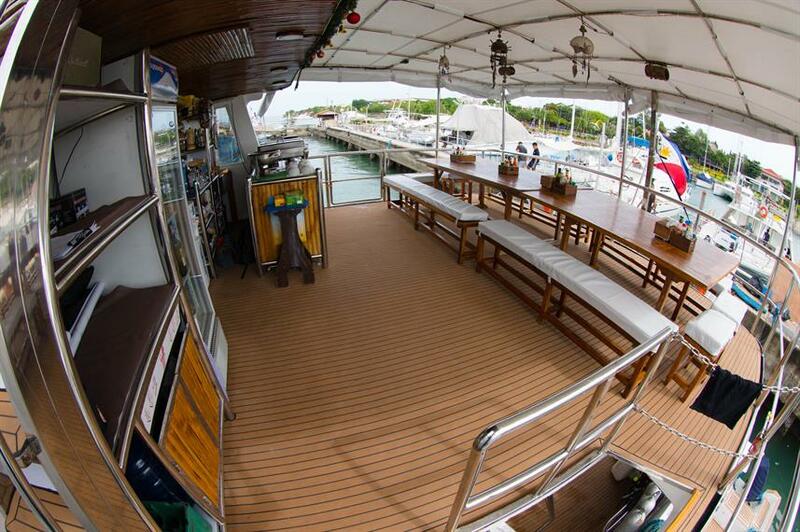 We had some great people on board and the best part was the staff and crew. Hilarious and fun and I can't wait to come back for another trip! Tubbataha reef is a must see, so much fish like at Richelieu Rock, and also big things like Whalesharks and Hammerheads. The dives are organized very well, dive guides are cool and prepared. 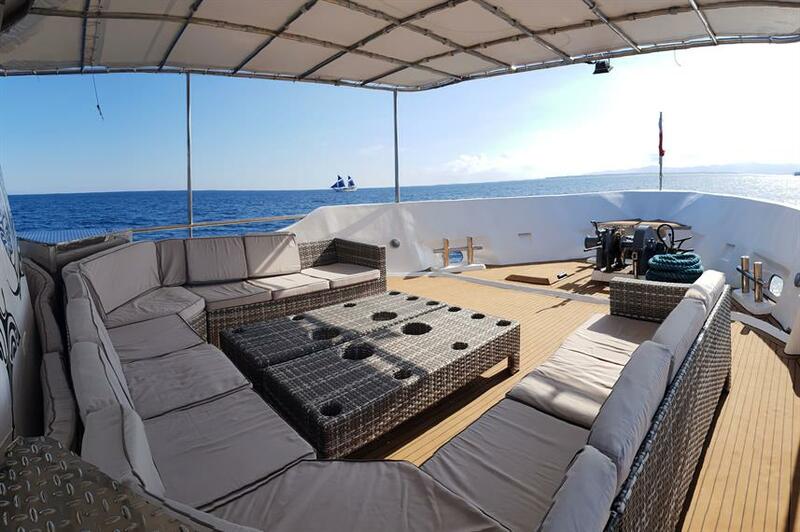 There is a shaded deck at the bow, you can rest there between dives (plenty of space), as the sun is killer on the top sundeck. Overall the whole trip is a very-very good experience. The only drawback is the ship and the equipment. 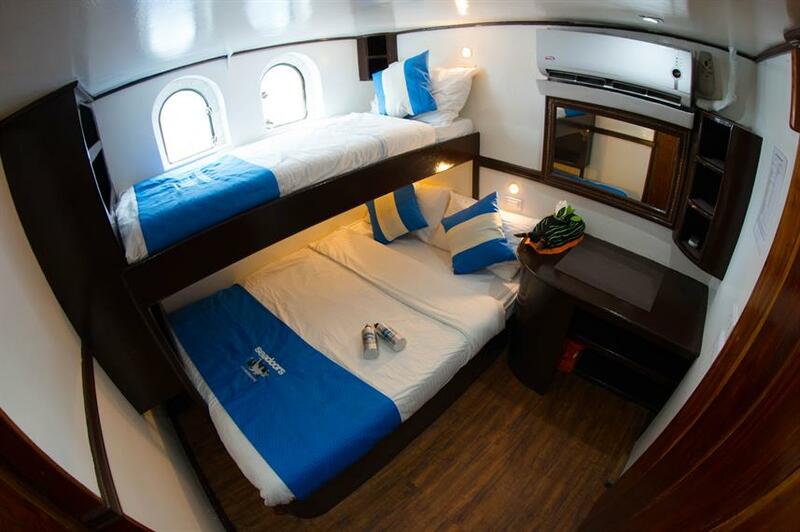 The top deck is only around 180-185 cm high, which can be a problem if you are 190 cm... 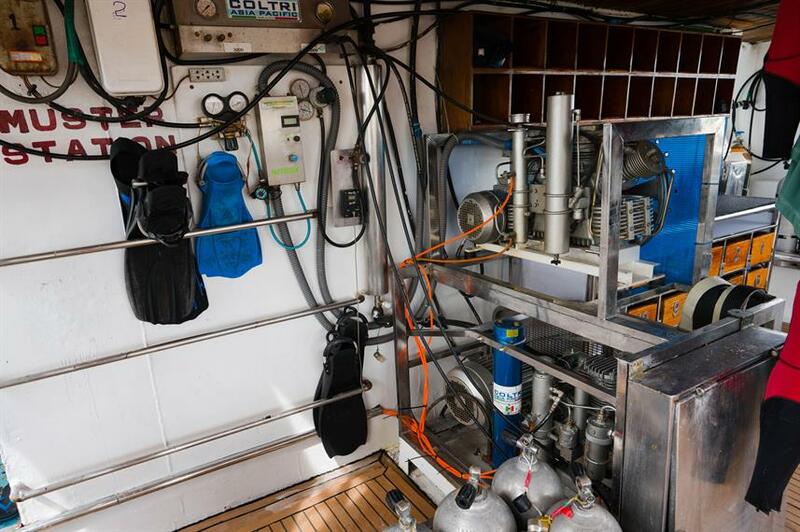 There is no fresh water generator on board, which means that hot showers are limited (though the sea is very warm). 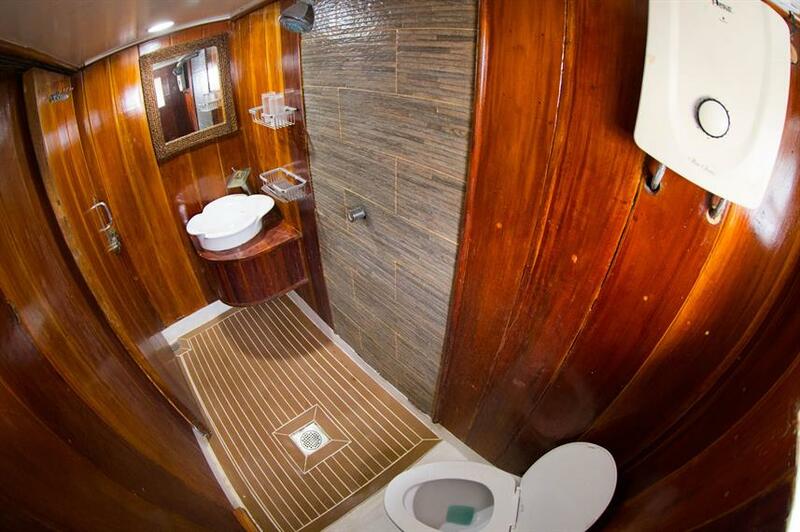 You have to throw toilet paper into a bin, as sewage treatment is not solved on the ship. The lower deck smells burned oil that makes you feel sick if you remain there too long. The rental octopus had to be replaced 2 times, and then it still leaked water. These things would not be that serious, but this is the most expensive ship I have ever been, and expected something like the Blue O Two or Aggressor fleet, which it is not. The diving at Tubbataha is great - no people. All the big stuff - hammerheads, whalesharks, mantas, silver tip sharks (plus loads of grey reefs / white tips / schools of barracuda and jacks). Not so much macro. The dive guides are great - they find everything. And largely prepare and move all equipment for you (unless you want to do yourself). Food was amazing! The boat seems to largely attract an older audience (mostly aged 50 upwards). So positive, or less positive depending upon your own age! Wayyyyy more than I imagined !!!! WHALE SHARKS!!! Friendly Staff and GREAT food... EXACTLY what the doctor ordered!!! 1. the reef park enviorment is protected very well, you could see many fish groups, such as sweetlips, jackfish, barracude etc. 2. the coral garden is beautiful, along the wall, there are differnet sea fans. 3. it is easy to meet with reef sharks. 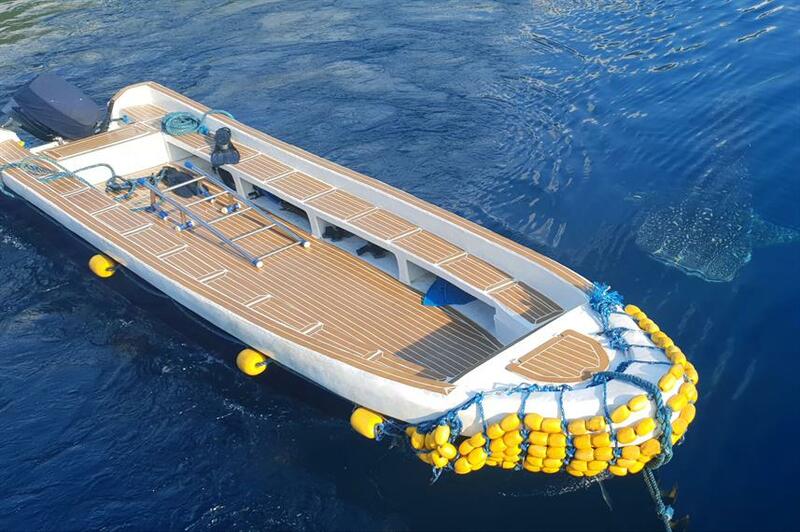 4. the wave is somewhat big on the boat. friendly crew, beautiful coral graden. The best liveaboard I've been on so far! My first time ever to see Hammerhead and Tigersharks. 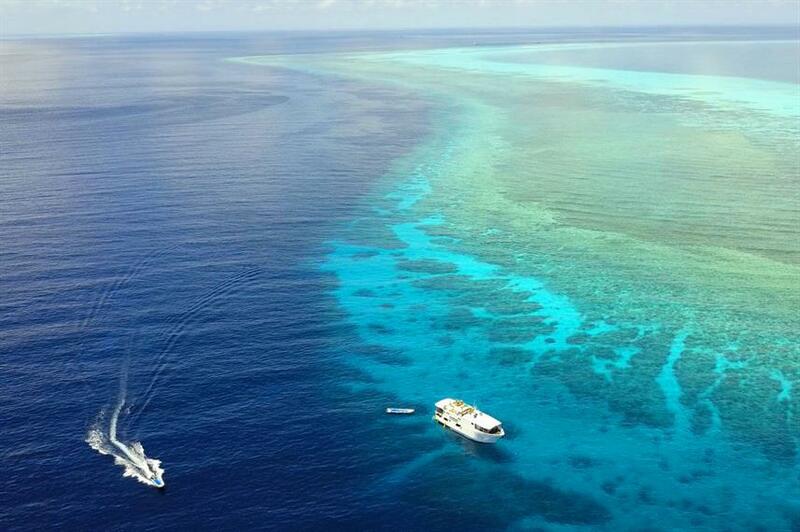 The reef is so beautiful and healthy. It's better than any aquarium! Also we saw great pelagics: Whaleshark and Mobula & Manta ray. The crew was always helpful and very, very kind. Nice boat and well maintained as well. We had a fun evening with BBQ on a tiny island and Pierlo gave us a video of our trip for free! 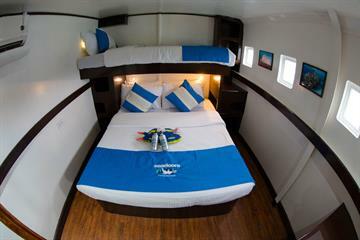 Can totally recommend Seadoors! 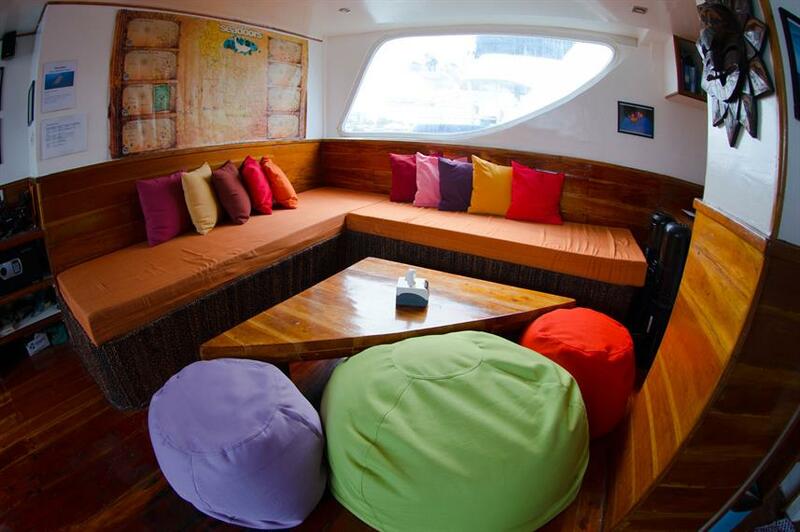 Tubbataha reef, super friendly crew, good food! The dive sites are really great and with such good guides it's easy to see how beautiful it were. 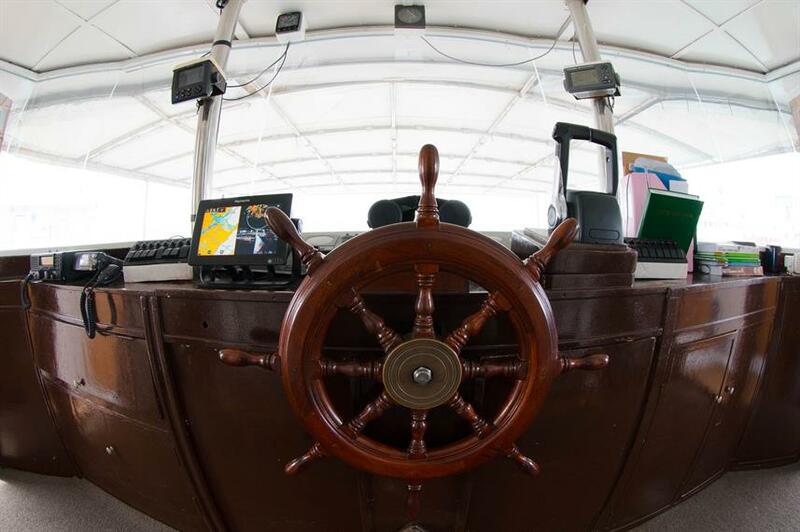 The boat is not luxuary but the essential is here and the crew and guides are great and always doing their best for us. A very good trip. 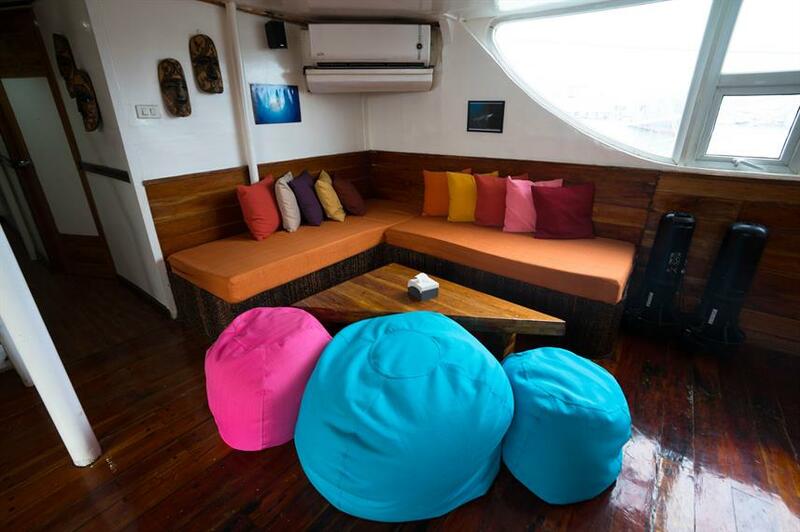 Nice boat with indoor lounge room and sun deck, the front outdoor lounge could not always be used because of wind and rain. Cabins: big enough but no opportunity to dry swimsuits or towels: the air in the cabin is damp, the towel never got dry and smelled musty after a couple of days. Nice hot shower! 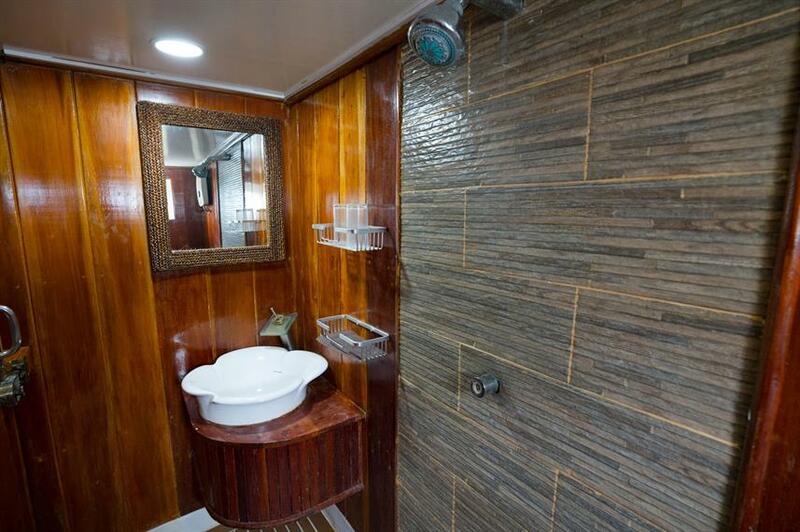 Hygiene of the bathroom is questionable: hair from predecessors on the drain and thick fungus under the sliding door spot, the area around the sink full of toothpaste and soap splashes from previous guests. 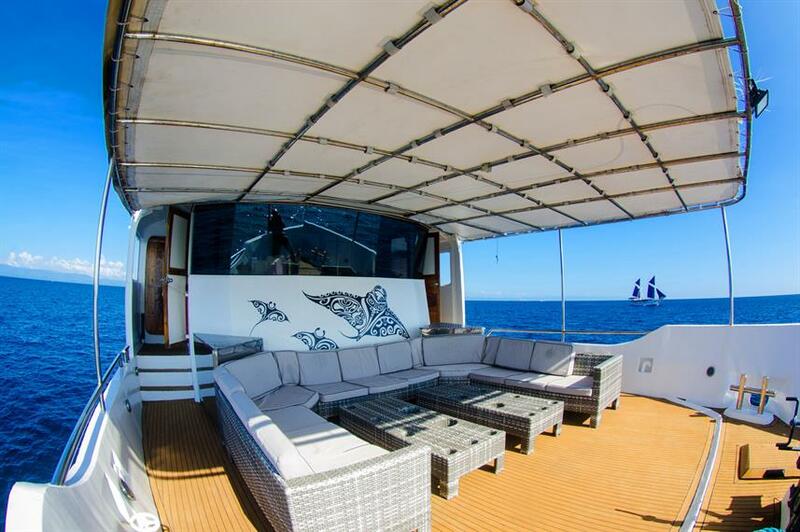 Crew: boat crew and dive guide: extremely friendly, always helpful, patient and very professional. This was really impressive. Dives: Some tresher sharks, white tip sharks but overall a scarce fish presence and variety, I found it a bit disappointing. Due to bad weather we went twice to the same site to see tresher sharks. What was the point as there were some 30 other dive boats (day cruises) on the same spot. 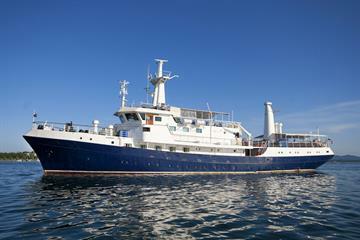 We didn’t understand why we twice didn’t manage to arrive before them despite of us being the only liveaboard. 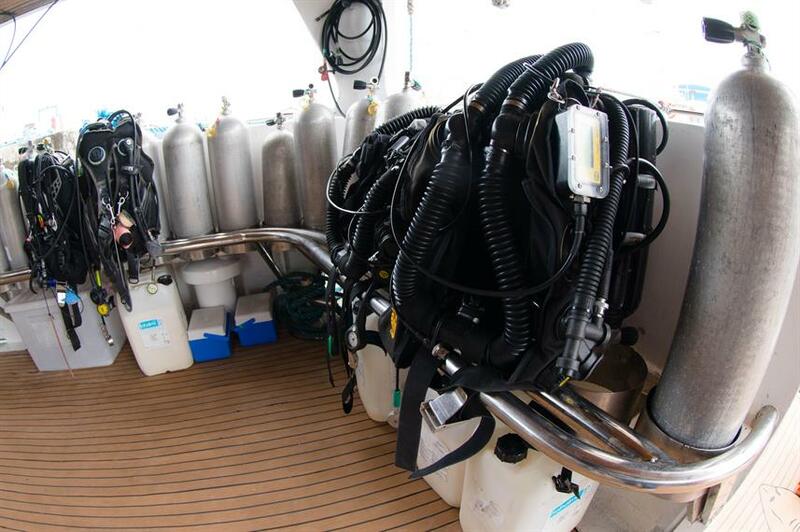 Dive organisation: great, the crew was very professional and helpful. We had an excellent dive guide. 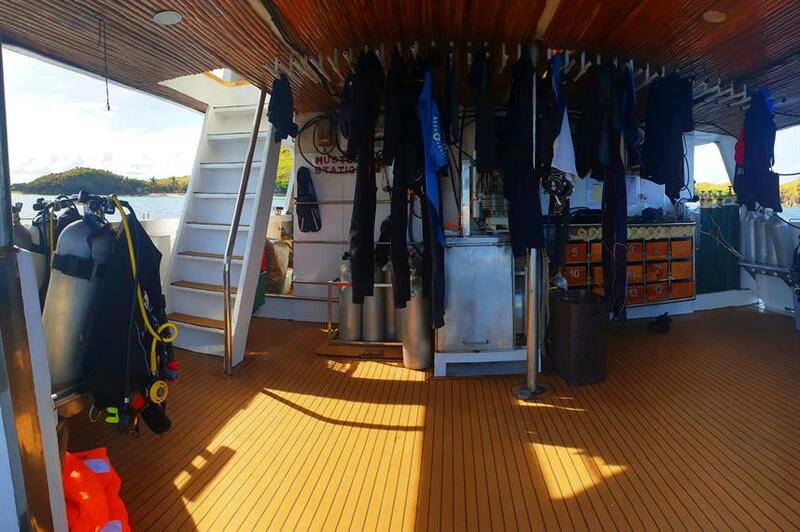 Great plus: every diver got a dry towel after each dive which was great since the water was cold and the air temperature quite fresh. Dive deck small but totally sufficient thanks to the good organisation. Food: not great: some of the veggies were from cans and there was a lot of deep-fried food as well as thick sauces, the taste of the dishes was often not good. Not enough local food overall. Twice some nice grilled fish for dinner (but quickly eaten up). The morning and afternoon snacks were almost always eaten up by the first dive group: no drink or food left if you took the time to shower and get some dry clothes, so several divers from the second group were often left out in the cold. This applied also for lunch or dinner as well as for the fruit after main meals. The overall food quantity is of course always enough, difficult to tell if it was due to a lack of quantity or just sheer lack of consideration of other people on the boat. It would help to wait until both diving groups are ready before serving meals. There was no allocated some spot on the boat so you have to endure smoke in all outdoor areas. 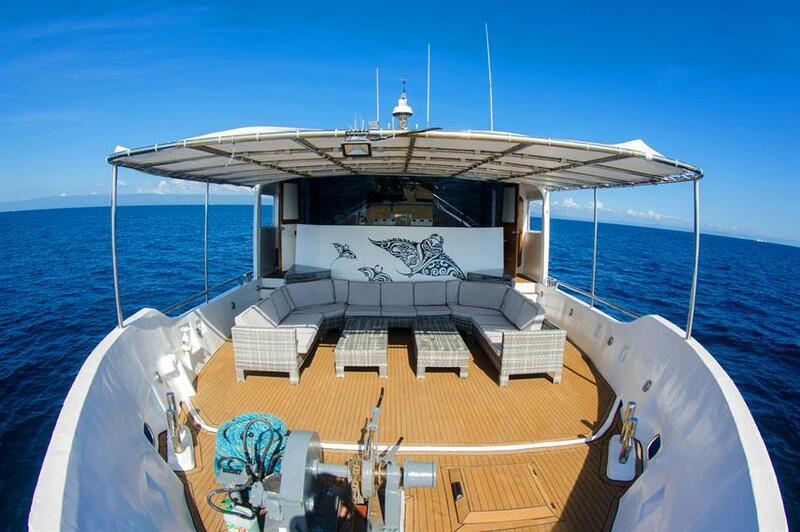 This is a boat for divers, don't expect 5 star luxury but do expect a friendly and knowledgable crew. 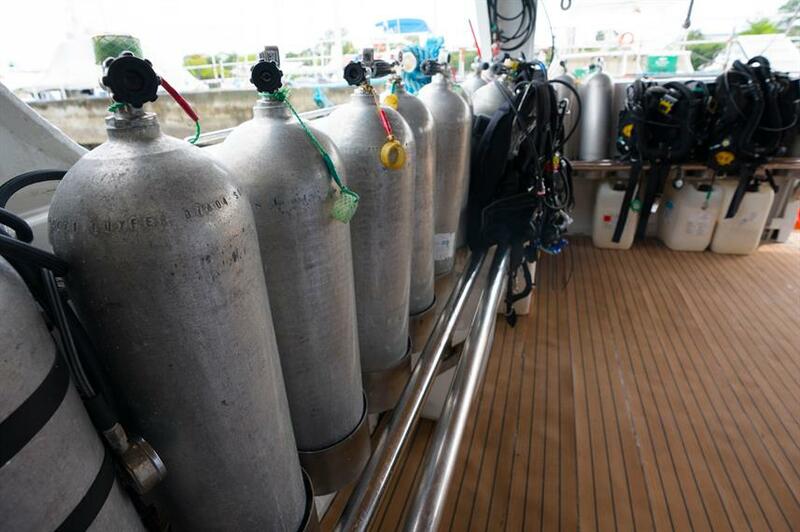 We had a few problems with the weather but the crew made immediate alterations to maximise our diving experience. Excellent value for money and thoroughly recommended. Great dives. This was my second time on the boat and I cant recommend it enough. The DMs are great and the overall experience was awesome. 1. 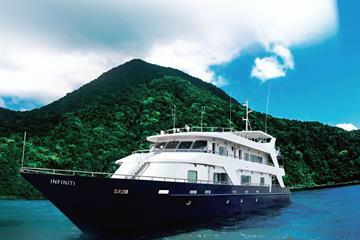 Good diving, but just two night dives instead of five suggested as possible initially; 2. Satisfactory boat condition but not more than that, toilet in our cabin was not working properly during the trip, the boat is showing its age in overall; 3. 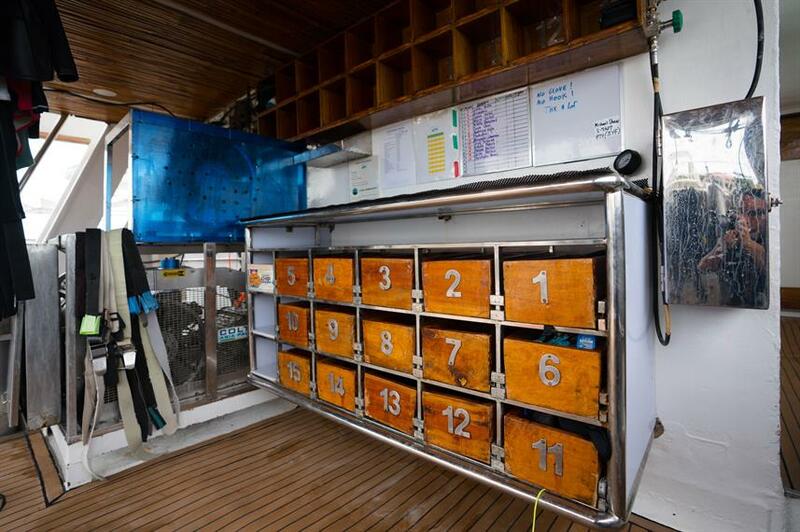 Pierlo (boat owner) is really professional in guiding his team, on deck and in the water; 4. 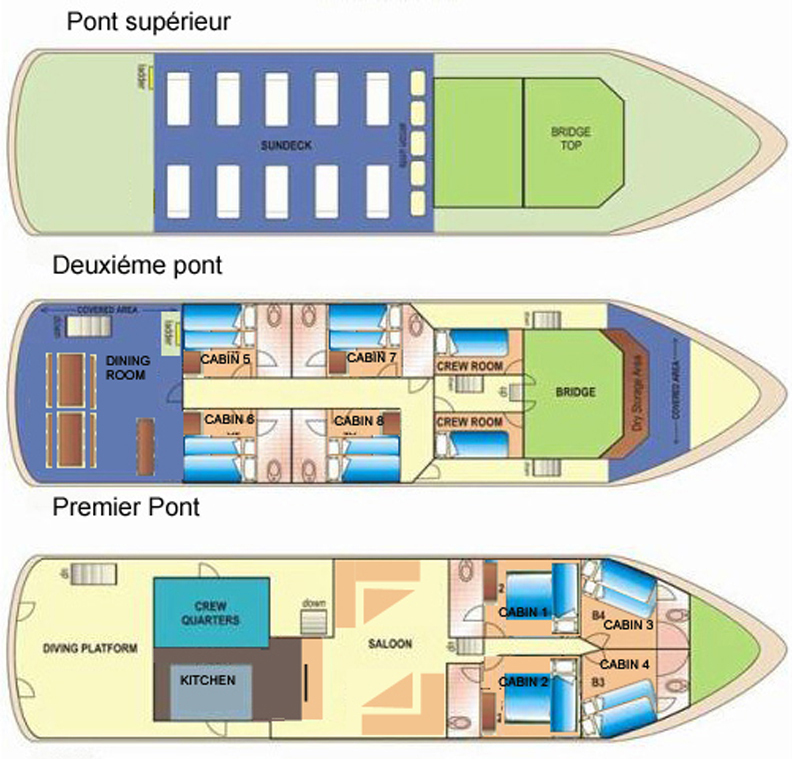 Just a little bit of strange feeling being in the boat saloon, comparable to entering into someone's private zone due to some owner's stuff "permanently" allocated there, but that is not frustrating anyway. Great diving: we saw many mantas, sharks, giant barracudas, turtles in a wonderland of corals, rocks and white sand. Great walls and lovely coral gardens in every dive spot. Nice and friendly crew, people you want to have as friends. 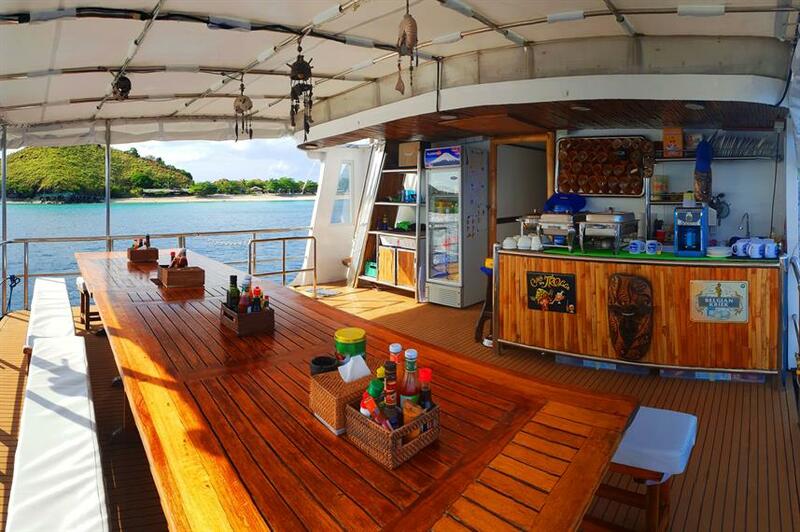 And a great food - the cook must be a magician to prepare that food in a relatively small boat with a tiny kitchen. Is was more like a 5 star hotel. Relaxed, familiar athmosphere. I will definitely try to go on that boat again. Great trip overall. Despite inclement whether shutting down diving for a whole day (they said that's the first time that's ever happened), we still managed only one less dive than a normal trip. Only complaints were that 1) The room I was in constantly smelled like a port-a-john, unrelated to our own bathroom. I think it was due to ventilation being connected to the kitchen. 2) The incidental charges (gear rental, nitrox, flashlight, park fees, crew tip) really added up more than I expected, driving the price a few hundred dollars over what I thought it would cost. In the end though, it was worth it. 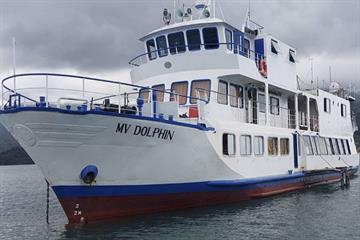 Being on a liveaboard offers you great access to the dive sites, and with the exception of thresher shark diving in Malapascua, we were the only group at every site. 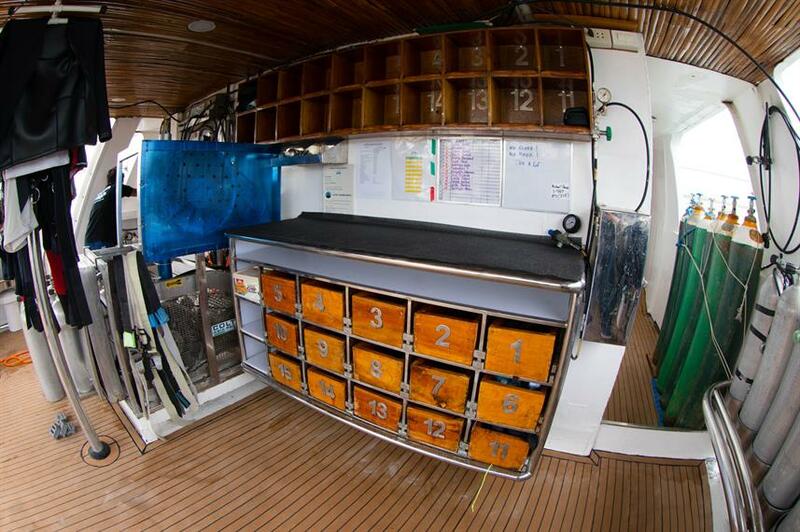 There is much to like about Seadoors. 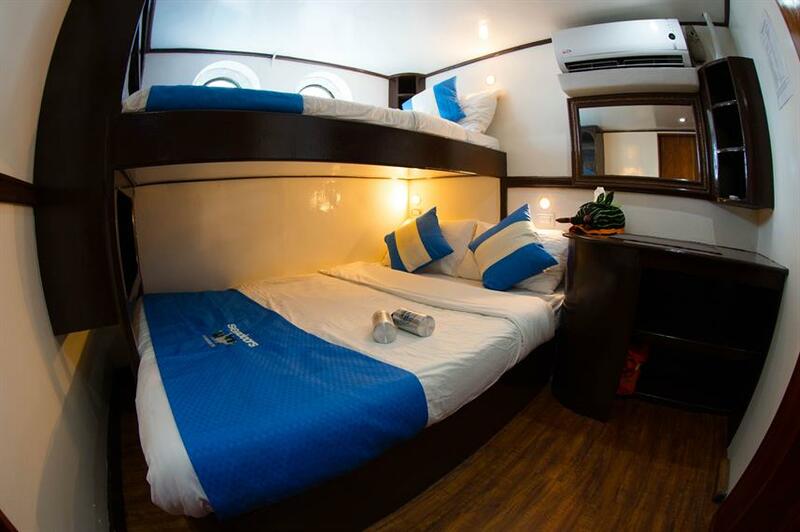 The boat is in good condition and comfortable although the loungeroom is not really available for relaxing as some of the crew sleep there. So don't expect to watch videos after dinner or between dives. The cabins are, of course, small but not as small as I've seen. 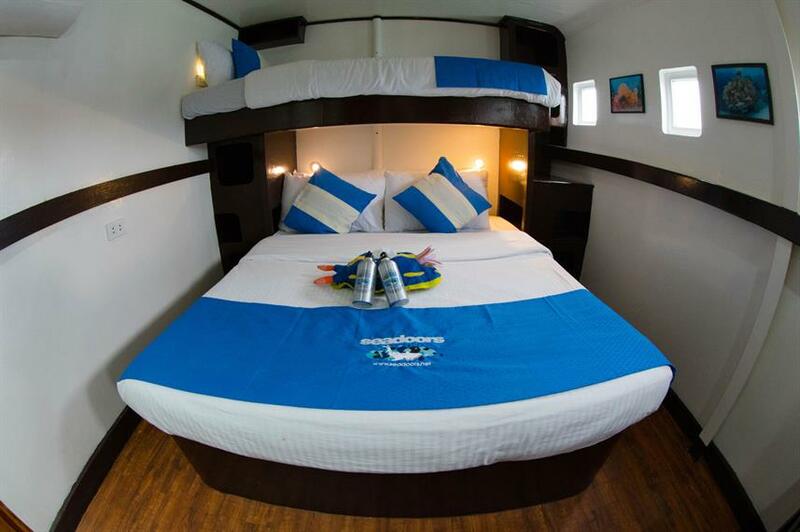 I travelled alone and was bunked up with another woman - unfortunately the cabins are really not designed for two single people - to access the top bunk and storage you have to stand on the bed below. 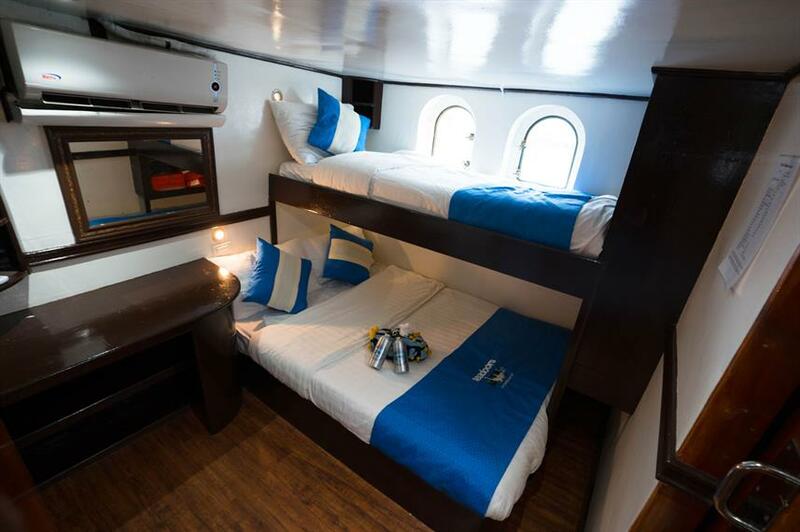 But the port holes next to the top bunk were large and opened. Fantastic! 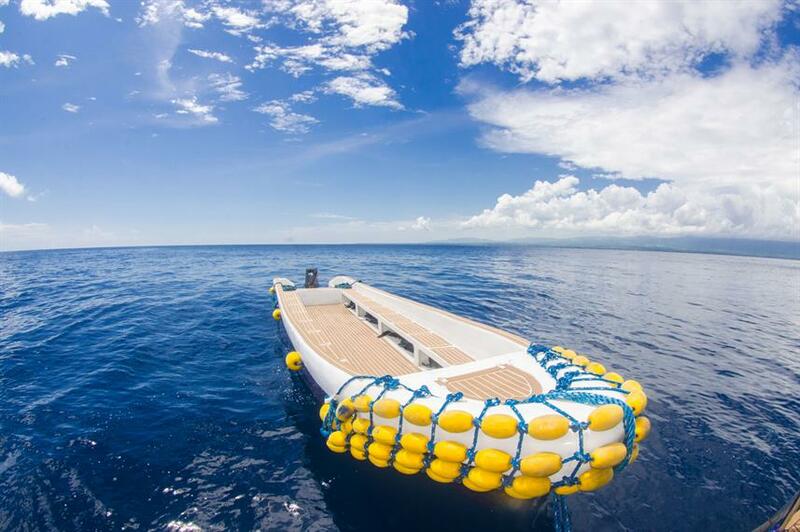 The dive deck is small but good - the chase boats are great including custom designed and built ladders which make it really easy to get back into the boat - really appreciate that. And the crew were very helpful. Unfortunately we didn't get introduced to most of the crew which I would have liked. I wasn't all that impressed with the diving - some of it was great - and I loved the snorkel with the whale sharks. The coral was good but I'm not really into micro-stuff and there just weren't that many fish. Don't get me wrong - I'd say half the dives were great - but that means half were a bit ordinary - especially if like me you don't like night muck dives. Thresher shark experience was pretty under-whelming - three dives and saw maybe three sharks and only one close enough to count. My biggest problem with the Seadoors experience is that the owner/operator runs it all a little unstructured - so I never had any advance notice of when dives were likely to be. I really like a schedule so that I can work out when I have time for a nap and when I don't. I know things can change depending on weather and tides an current but I'd really like best guess info in advance. 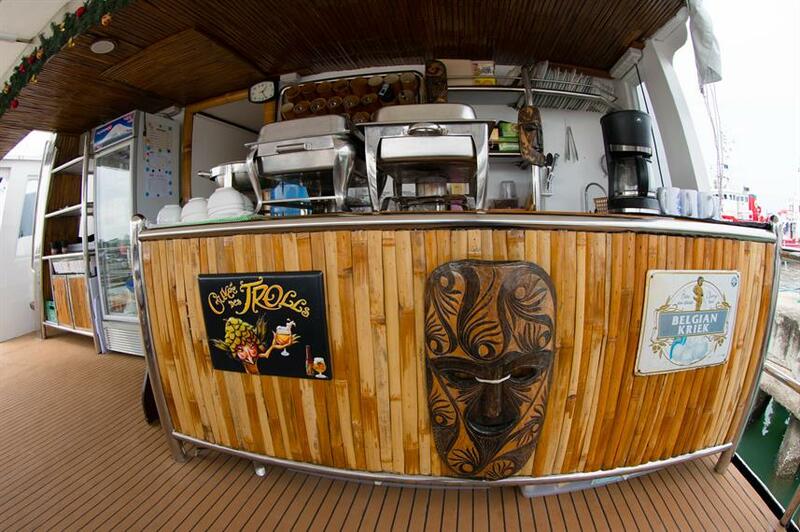 The owner/operator is French and a great diver. He targets the European market - pricing all in Euros which was confusing for me as an Aussie - by the time I'd been told everything in Euros (some of which additional expenses I didn't expect) and then told what the exchange into Pesos was (and nothing was ever written written down for me - just verbal) and I was trying to manage my money - I felt all confused and a bit resentful. So, overall the trip wa still an 8/10 - of course - I got to go diving somewhere fantastic for 5 days - but just a few things to be aware of.